Oracle Primavera is a project management software that helps manage tasks commonly performed by project-based departments such as task coordination, budgeting, and time management. This platform has wide-ranging capabilities and can be used to improve accessibility and collaboration, as well as automate project management processes within a business. Oracle Primavera, commonly used by businesses managing multiple projects simultaneously, integrates with mobile devices and can be installed in the cloud or on a local server. Oracle Primavera consulting services assist clients with configuring and deploying this program. In addition to implementation, some of the providers in this category assist with additional training or support related to Oracle Primavera, as well as other IT consulting services or implementation services such as Oracle Database consulting. Oracle Primavera Consulting reviews by real, verified users. Find unbiased ratings on user satisfaction, features, and price based on the most reviews available anywhere. 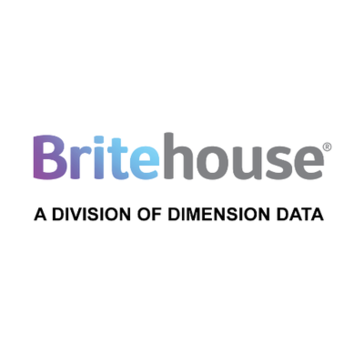 Britehouse is ideally positioned to deploy state of the art Oracle technology in ways that will optimise your business performance. Inspirage is the integrated supply chain specialist firm solving business critical challenges from design to delivery. The company delivers end-to-end consulting and implementation solutions that link Enterprise Resource Planning (ERP), Product Lifecycle Management, Supply Chain Management and Logistics Management. Inspirage partners with their customers to break down information silos and optimize performance to accelerate innovation, fuel growth and achieve operational excellence. Inspirage is a Platinum level member of Oracle PartnerNetwork (OPN) and has been recognized by Oracle with numerous awards, including the 2017, 2016, 2015 and 2014 Oracle Excellence Award for Specialized Partner of the Year. Headquartered in Bellevue, Washington, the company has global presence with offices in North America, Europe, Middle East, and Asia. L&T Infotech, a global IT Services and Solutions provider, has a strong domain focus that helps clients maximize the value of their IT spend. PwC focuses on audit and assurance, tax and consulting services. TechnoLogica is a leading Bulgarian software company, which in 1990 developed a complex activity in the field of information technology, implementation of information systems, software development, consulting and specialized training. Hi there! Can I help you find the best Oracle Primavera Consulting solutions?